It's Friday, that means my weekend starts at 5 o'clock today! Tomorrow is Kings Day and I'm looking forward to a nice day with my husband, enjoying the flee market and we'll probably end up an a terras with a drink. Fingers crossed for nice weather! Today's #springnorules theme is Butterfly. 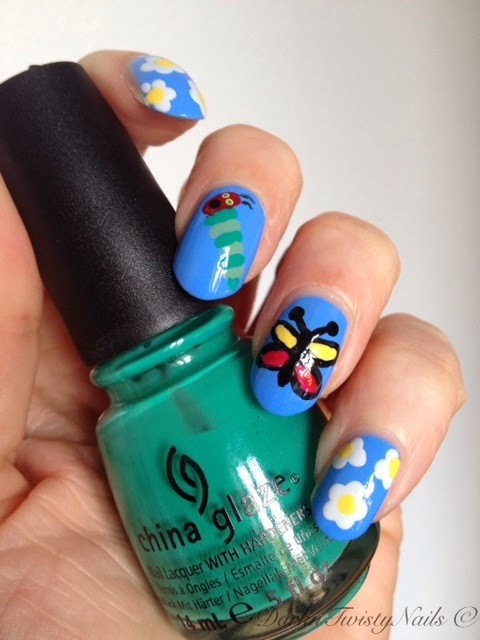 I love butterflies, but oh man, was it hard to get one on my nails! 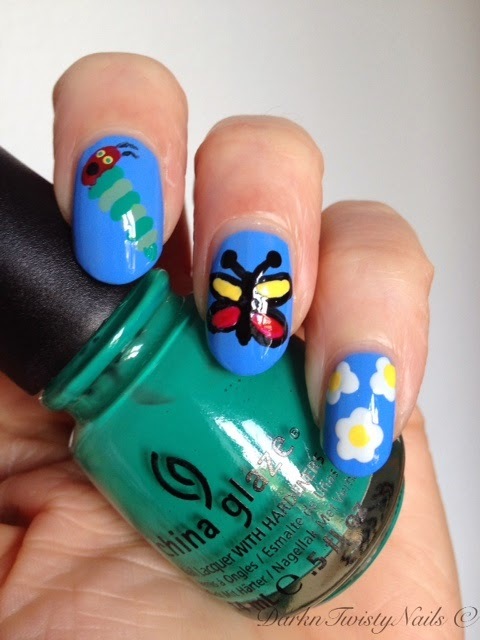 The first one looked like just a blob on my nails, for the second one I painted my background too dark, so you couldn't see the butterfly, let's just say it was a mess! My third and last attempt was better, still not as nice as I would've liked, but you can definitely tell it's a butterfly! I really like the caterpillar I added and this time my flowers look like flowers, not eggs, so I'm happy with this. 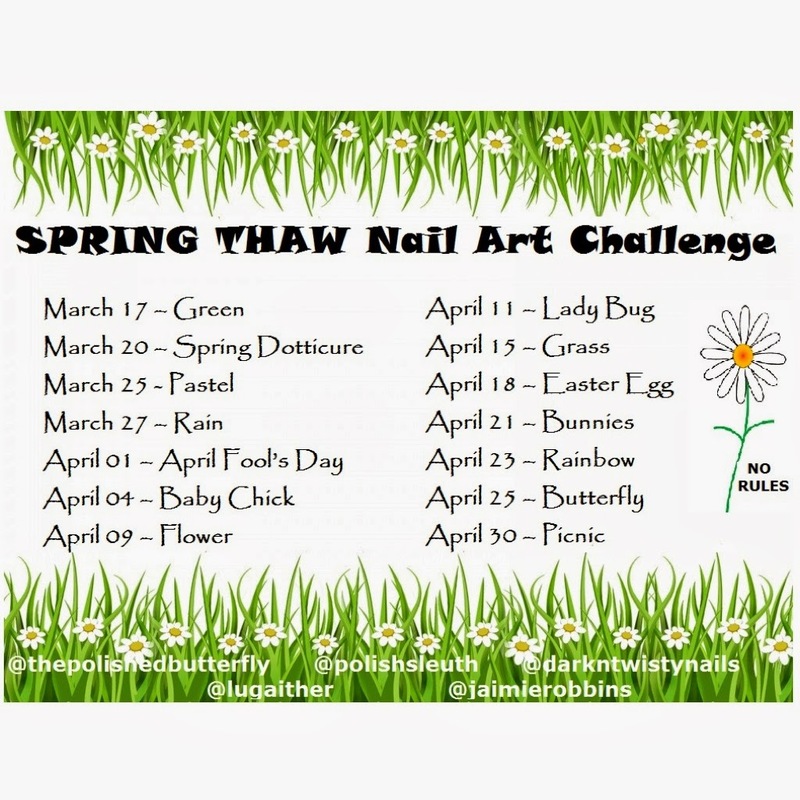 I'm thinking about doing another mani with the caterpillar, but I'm still thinking about that one. Only 1 more day in the challenge and that theme is picnic. Hopefully I'm able to think of something nice to do for that one, because at the moment, I'm drawing a blanc... Luckily, I still have a couple of days to come up with a cool design. 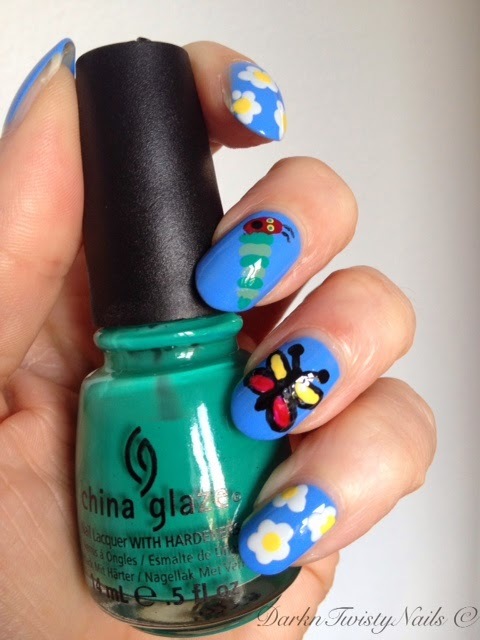 What a cute and fun mani!! I love the addition of your adorable flowers and the little bug! I do too, I might have to do a full mani with it.